First Care Ambulance offers a full patient transport service for both NHS and private patients. This covers all mobility needs and includes specialist bariatric transfers. All of our ambulances are fitted with ramps and floor tracking so that patients can be safely and securely transferred into the vehicle and made comfortable. All of our PTS vehicles are equipped with wheelchairs and stretcher docking capabilities. All of our PTS ambulances carry oxygen and can carry Entonox on board. All staff hold a current enhanced DBS (formerly CRB) check. All non-emergency PTS staff are fully trained to the required First Aid standards and experienced in patient handling. 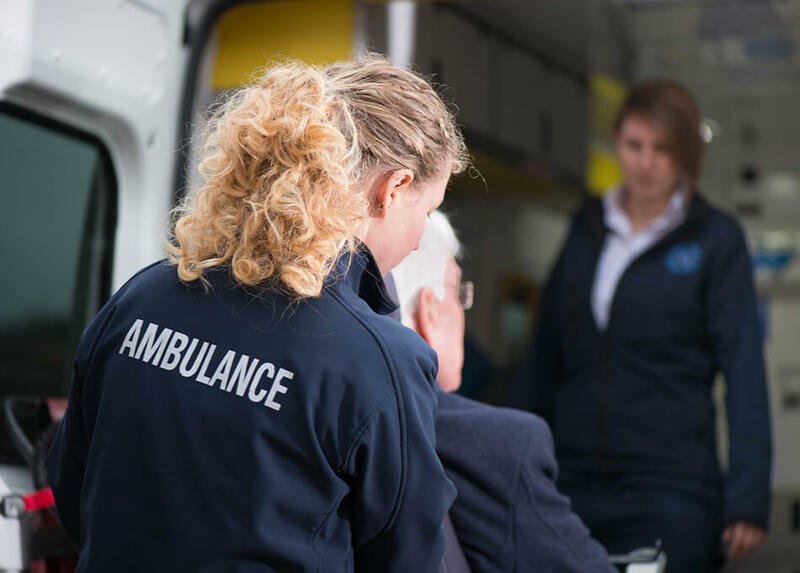 We work with a number of NHS Trusts and Clinical Commissioning Groups (CCGs) to provide contract non-emergency patient transport for patients attending hospital or clinic appointments. Our service is customised to suit the needs of the local area as we believe requirements differ between regions, such as hours of service, geographical area and patient groups. We also understand that different patient groups have specialist requirements that often don’t fit the standard PTS ‘model’. We adapt our service to deliver specialist renal patient transportation, as well as delivering out of hours discharge services to Emergency Departments. First Care Ambulance offers a fully equipped specialist bariatric service able to transfer patients up to 40 stone (254 Kilograms) in weight. We can offer a range of specialist equipment including a bariatric stretcher, bariatric wheelchair and specialist manual handling equipment. We can provide specially trained PTS staff who specialise in the transport and handling of bariatric patients. Due to high demand for our bariatric services it is best to book in advance whenever possible.